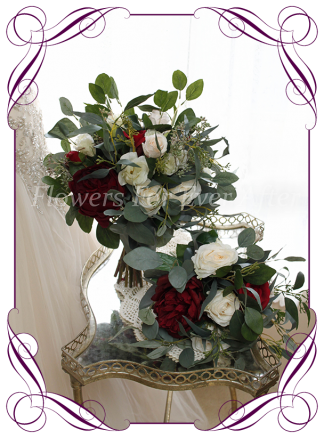 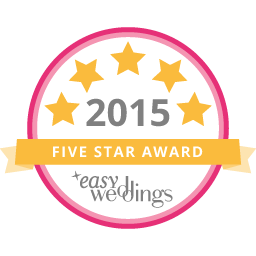 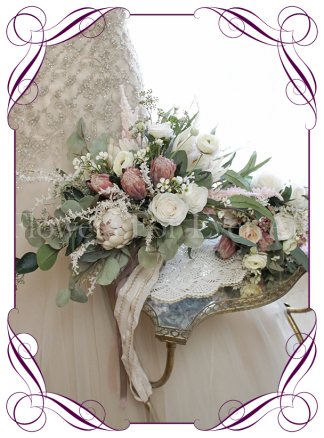 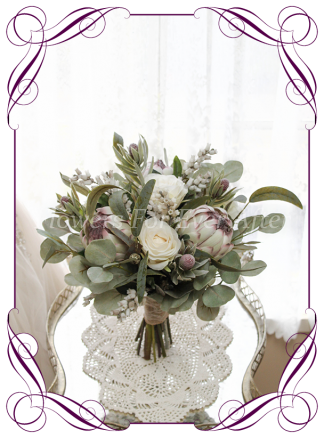 An elegant rustic style in soft romantic tones with a mix of traditional and native blooms . 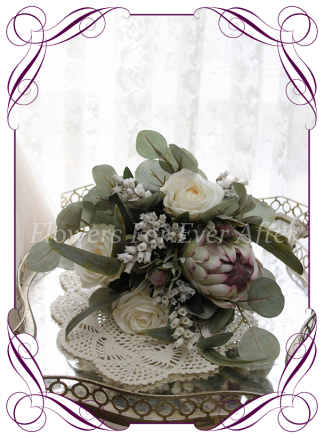 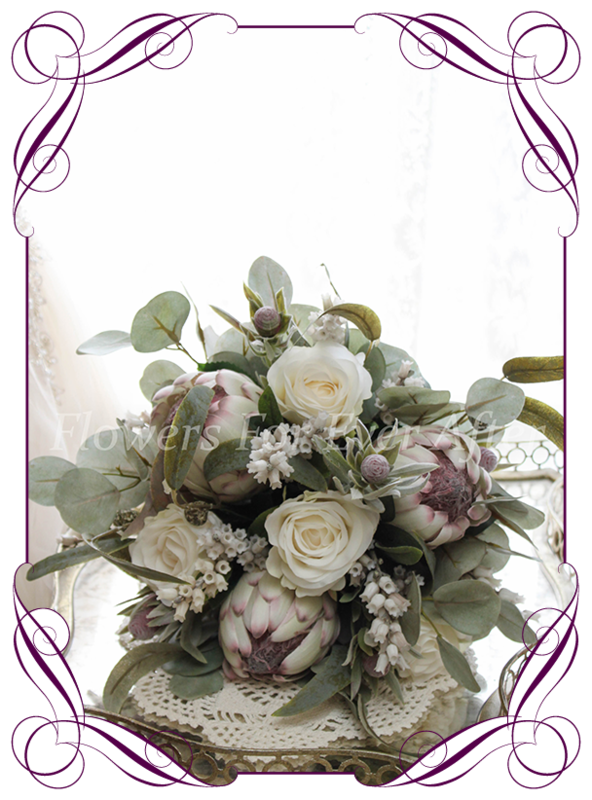 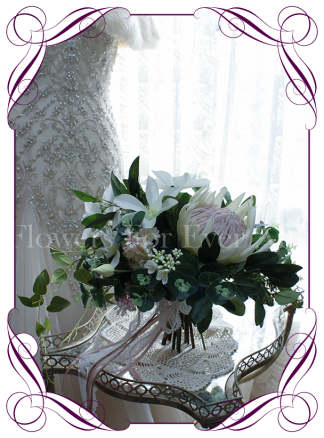 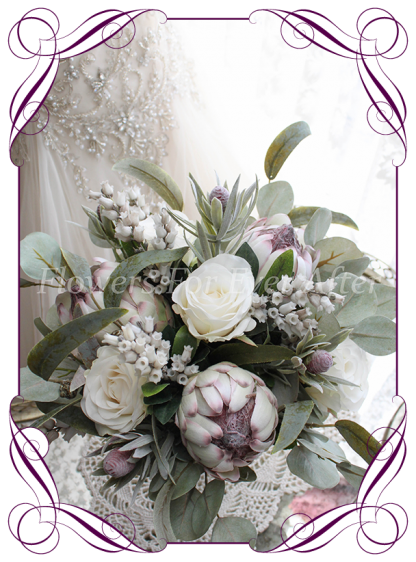 Features blush tipped ivory protea with dusty darker centres , ivory roses , protea buds , pieris spray , sage green dollar gum, and nut eucalypt foliage. 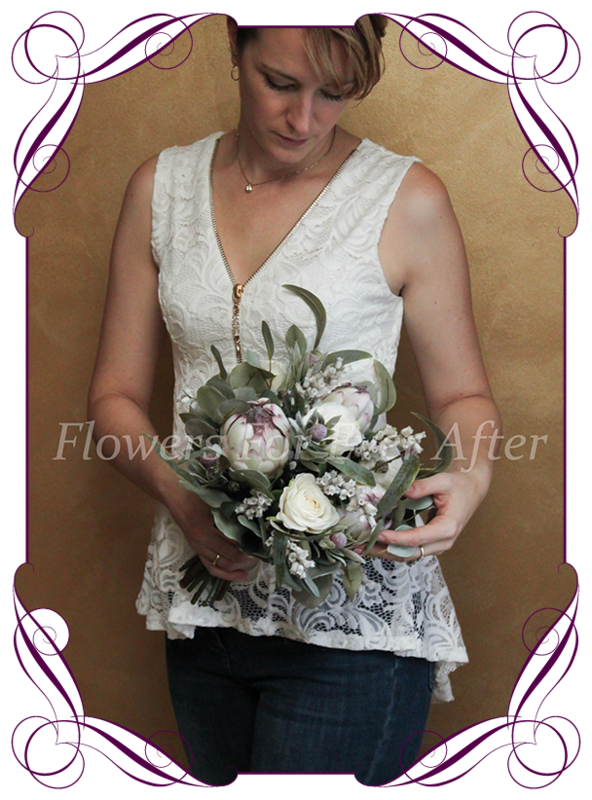 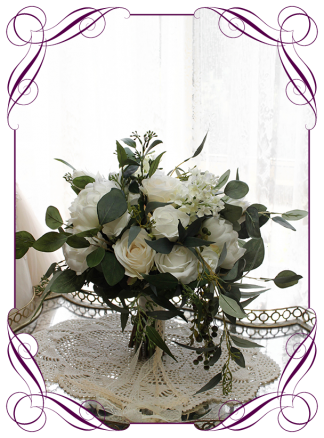 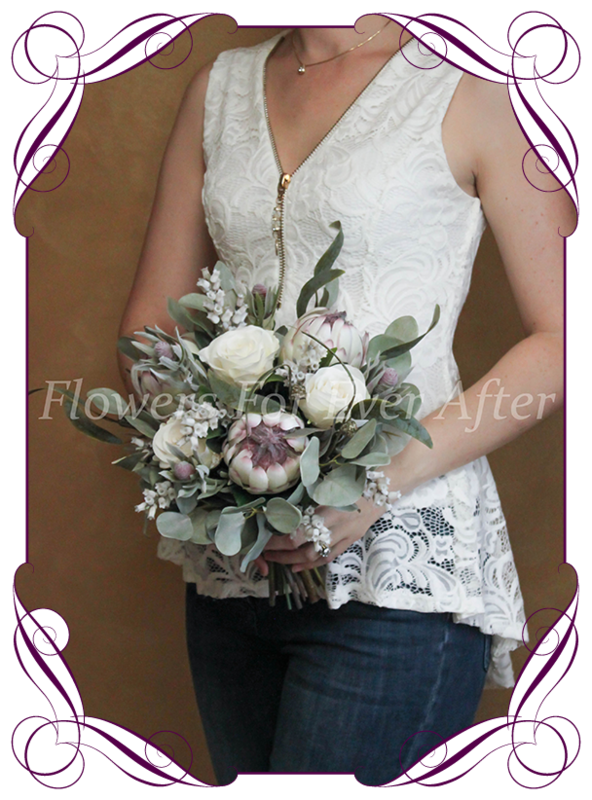 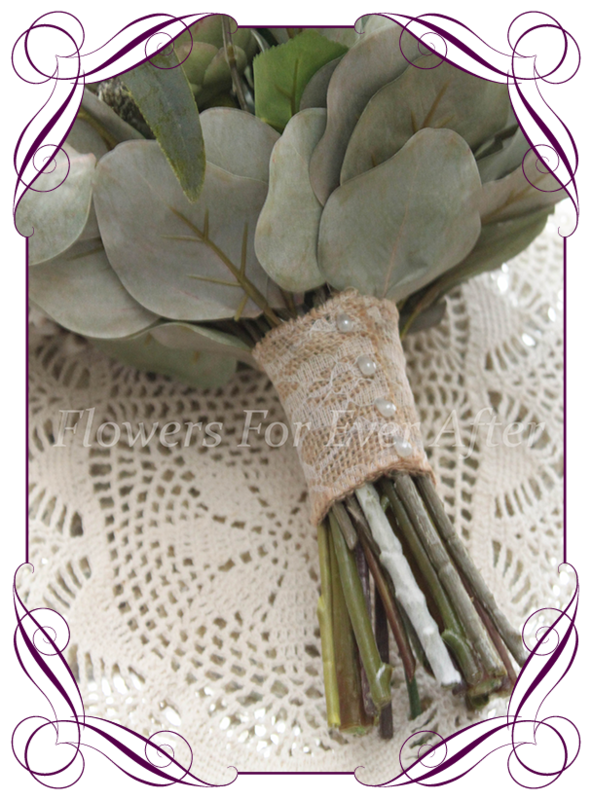 The stem is partially wrapped in a lace covered burlap with Pearl studs…Other options available in the drop menu below.